Here’s a little light-hearted Trivia Quiz about how Chinese laundries were connected with American politics! 1. 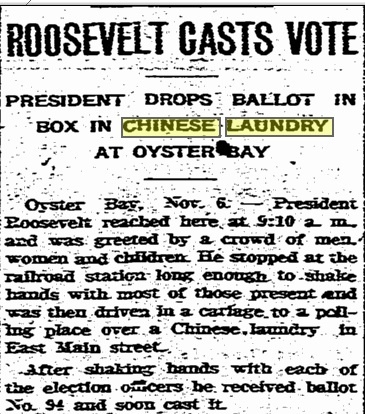 What American presidential candidate voted (presumably for himself) at a polling place in a Chinese laundry? 2. 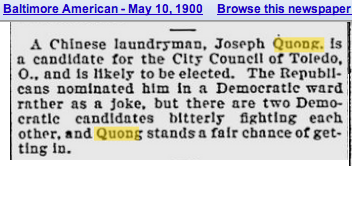 Where did the Republicans nominate a Chinese laundryman in 1900 for City Council (where they felt he could win against two competing Democratic candidates)? 3. 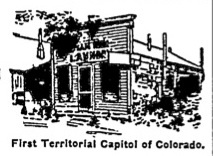 The Sam Wah Laundry occupied the first capitol building of which state?